New parents may often feel overwhelmed or distracted by the many needs of the newest member of the family. All of these new demands make it easy to overlook the importance of infant hair care. While your baby may have very little hair, it is important to make shampooing a pleasant experience for your child. Unfortunately, many babies and small children hate having their hair washed. By establishing good habits early, your child will be more likely to practice proper hair care in the future. 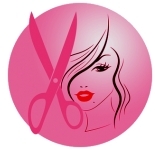 According to most experts, children develop all of their hair follicles by the sixth month in the womb. Hair growth on the head can even be spotted on sonograms at times. However, there is a great variability in the amount of hair each child has at birth. Some children are born with a surprisingly thick, full head of hair, while others are almost entirely bald. Parents of children with little or no hair should not worry that their child's hair is not growing properly. It is important for parents to remember that all children develop differently and that your child's hair growth will eventually catch up to that of other children. In most cases, babies are born with heads covered by a soft fuzz of hair. This initial growth usually falls out after a few months and is replaced by thicker, more textured hair. 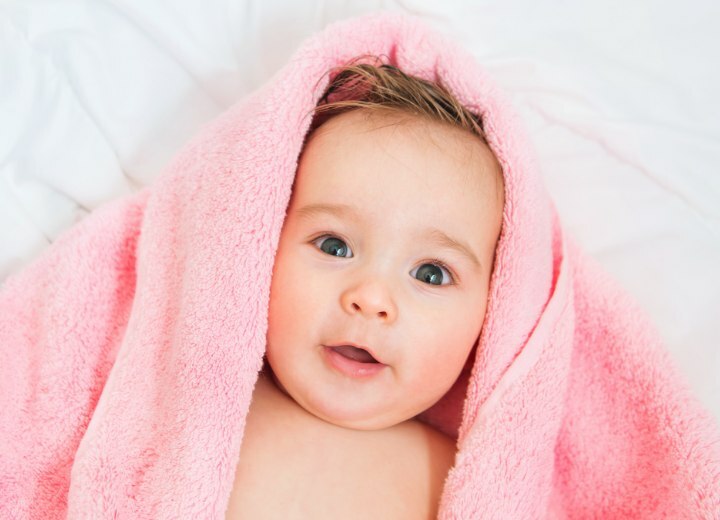 Even if your baby remains relatively bald during the first year of life, it is still important to keep your child's scalp clean in order to encourage healthy hair growth. One myth concerning baby hair is that shaving a child's head will cause the hair to grow back thicker and full than before. However, there is no evidence that hair grows faster or thicker from shaving. It merely appears to grow faster. Occasionally, your child may experience areas of red, flaky skin on his or her scalp. This condition is known as "cradle cap" and is usually harmless. In some instances, your doctor may prescribe a cortisone cream to treat the condition, but it can usually be cleared up simply with regular washing and the use of a mild shampoo. When caring for a newborn's hair, the key factor is to be extremely gentle. Because infants generally have very little hair, there is no need to wash every day. Simply wash your child's hair on an as needed basis, or every few days. Also, be very careful to avoid applying pressure to the soft spot on the top of your child's head. It is also a good idea to gently comb through your baby's hair to remove any tangles before shampooing. The choice of shampoos is another important factor to consider for new parents. Many opt for specially made baby shampoos that promise not to cause irritation if the soap comes in contact with your baby's eyes. These products are also free of sulphates that are in most adult shampoos. However, it is also important to consider that baby shampoos tend to have a higher pH-balance, which may lead to more tangling of the hair. One option is to use baby shampoos when your child is very young and has short hair and then switch to very mild shampoos as your child ages and develops longer hair. Another important factor to consider is how you wash your child's hair. It is generally easiest to gently recline your infant while holding them in the bath. When held in this position, infants will often experience a reflex and may look momentarily frightened. Be sure to hold your child securely and speak in a comforting tone of voice to help put your child at ease. By making hair care an enjoyable experience for your baby, your child will be more likely to practice proper hair and scalp care as he or she gets older.